For your garage door needs, only the #1 garage door service in North Port and Tampa will do — A1 Garage Door Service. It is unrivalled in terms of quality, price and expertise. That is why the people of North Port and Tampa only trust A1 Garage Door Service. To experience A1 service, call us at 813-575-2800. A1 Garage Door Service is the only garage door installation and repair shop in the city of North Port, in Sarasota County, Florida which has consistently been awarded A+ ratings on BBB, 5-star ratings on Yelp and the Super Service Award on Angie’s List. This is because A1 Garage Door Service is dedicated to providing only the very best customer experience. A1 Garage Door Service is proud of its lineup of professional technicians who can be trusted and who are experts in all of your garage door needs. Whenever called to check on a garage door issue, they are sure to immediately diagnose the problem and fix it in the soonest possible time. This is because they have undergone rigorous training in all aspects of garage door issues and have accumulated an impressive experience in garage door repair and installation. So why trust fly-by-night garage door shops when you can have the very best. 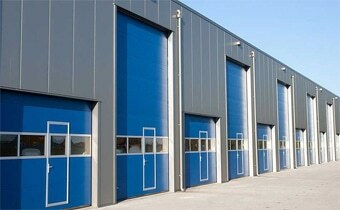 In terms of garage door installation, only A1 Garage Door Service can perform the job to the utmost. This is because we carry the most comprehensive inventory of garage doors from the leading manufacturer brands. They also come in different choices of styles, materials, colors etc. Plus, with A1 Garage Door Service, you can be assured that you will have professional advice in all aspects of your garage door installation. A1 Garage Door Service also provides custom garage doors. So if you want a unique garage door that will be a subject for discussion, let us know and we will be happy to help you turn it into a reality. Our custom garage doors are known for its aesthetics, complementing the beauty and architecture of your home. We will also make sure that your custom garage door will enhance the look and value of your home. If you want to install a garage door opener, trust only the expert. A1 Garage Door Service knows the importance of ensuring that your garage door opener is properly outfitted to your garage door requirements. This is to make sure that it operates smoothly and safely. According to studies, garage door openers are the common causes of accidents in garages. As such, we only provide you with advise in using only the industry-approved openers that are appropriate for your garage door. All of the products and services of A1 Garage Door Service come at cost-efficient prices. This means that you get great value for your money. At the same time, we also throw in various deals and discounts all for your benefit. So call at 813-575-2800.